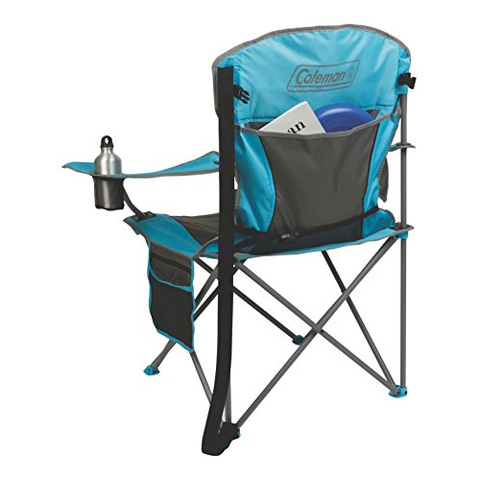 Relax with Coleman® Lumbar Quad Chair, a roomy and innovative quad style portable chair with added lumbar back pillow for extra back support and ultimate comfort so you can kick back and relax. Heavy-duty steel frame and tough polyester seat support up to 158.76 kg weight rating, keeping you comfortable for hours. Two cup holders on armrest keep a couple of drinks close. When the fun is done, the chair easily folds up into a carry bag for easy transport and storage. 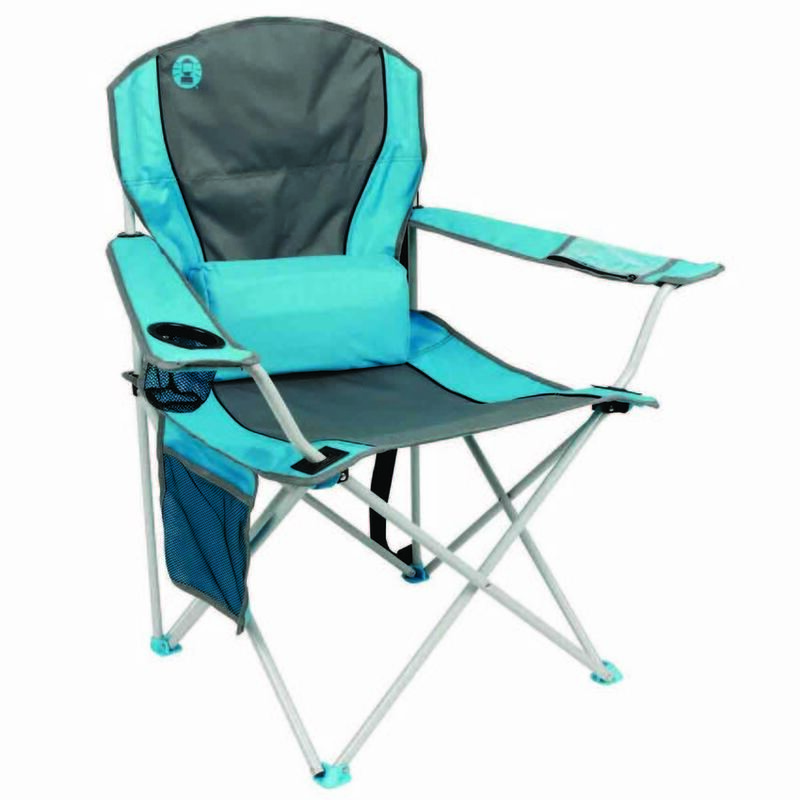 Ideal to take this favorite seat along to sporting events, picnics, backyard barbecues and other outdoor events.